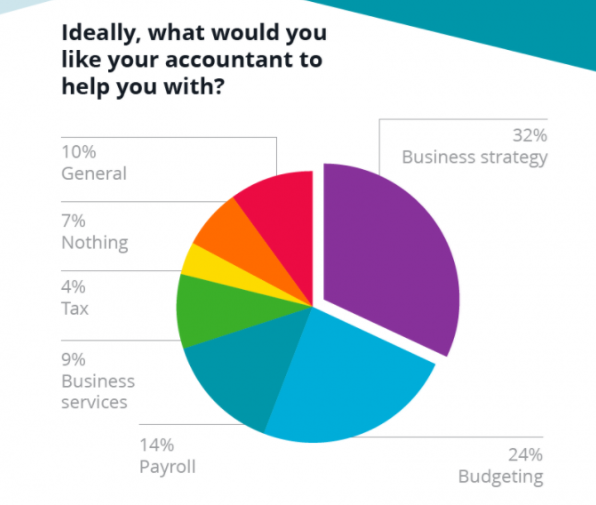 Clear Books, a software company similar to Intuit, conducted a survey of small businesses in the UK to determine the needs of business owners in regards to their accountants. 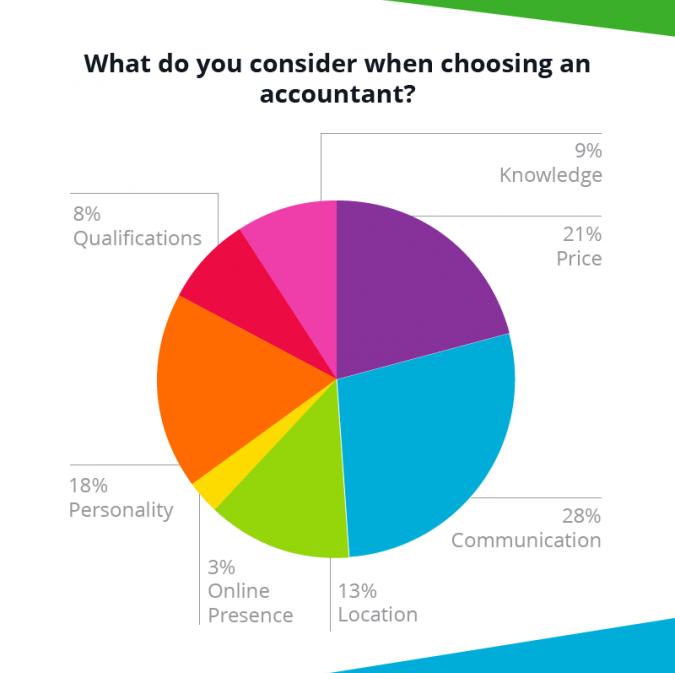 Clear Book’s survey shows that many people consider a wide variety of things before choosing an accountant. Luckily, our accountants at Andrews Tax fulfill these needs of clients. Communication is the most important quality which will be addressed in the next image. In regards to price, we charge lower than the big companies (e.g. H&R Block). The price for most of our services depends on the needs of the client. Our bookkeeping is $75 per hour but it is important to note the per hour. Most of the time reconciling a bank statement takes about half an hour. You may want a bookkeeper who charges lower but remember to consider the quality and timely manner in which a task is done. Some bookkeepers may be cheaper, but they may take longer to perform tasks so, in the end, it would cost more. The next most considered quality is personality. At our office, it isn’t rare to hear laughter coming from Jeri’s office. Jeri has one of those contagious laughs. Add in the mass amounts of kid art around the office and it pretty much feels like home. Lastly, the somewhat considered qualities are knowledge and qualifications. These should be the top two considerations when choosing an accountant! If you visit our QuickBooks bookkeeping page you can see that Jeri is quite qualified. She has a master’s degree in accounting and financial management. She is also the highest certified QuickBooks ProAdvisor in the Bellingham area which you can see on her Intuit profile. Not only is Jeri highly education, she also has over ten years of experience since she opened the business in 2006. So next time you consider an accountant, ask them for their qualifications, what programs they use, and how long they have been in business. Here at Andrews Tax, we use many forms of communication to stay in touch with our clients. If you are comfortable with only one form then that is fine, we will adapt to your needs. 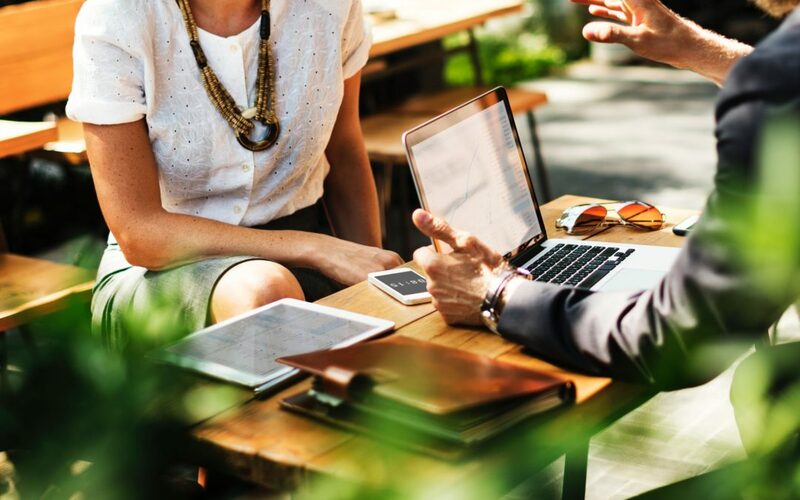 The most common way we talk to our clients is through email which also happens to be the preferred form of communication. What’s great about Andrews Tax is we aren’t trying to sell you a package deal. We only provide you with the services you want. If you just want QuickBooks training, we will train you. If you just want bookkeeping, we just do the bookkeeping. There’s no catch. Additionally, Jeri’s education was mentioned above but she also has a Bachelor of Science in business administration. Therefore, she is not just excellent at tax preparation, bookkeeping, and payroll, but she can also develop a business strategy with you. As accountants look to the future, the job is becoming more of a consultant than performing the tasks computer programs can automate. 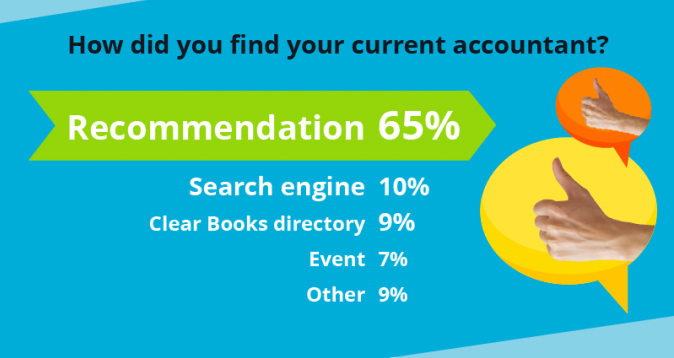 Clear Book’s survey shows that most people find their accountant based on recommendations. You can visit our testimonials page to see what our clients think of us! 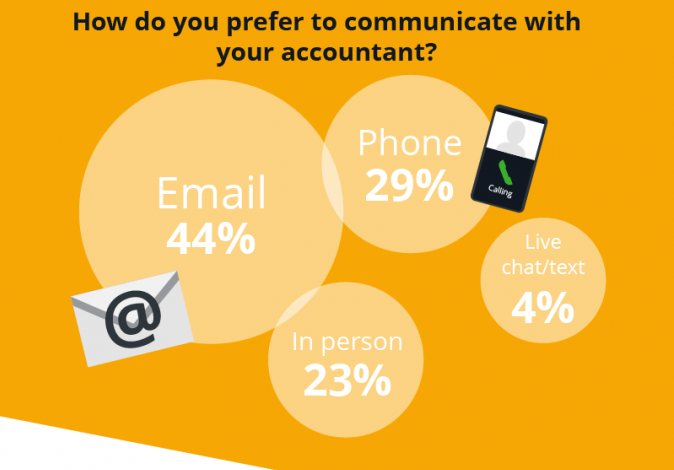 View Clear Book’s full infographic to learn more about what clients want in an accountant! Thank you! We appreciate our readers as well!